While on vacation I decided to hit up some consignment stores in West Palm Beach. Of course, I found too many awesome things to fit into my suitcase! 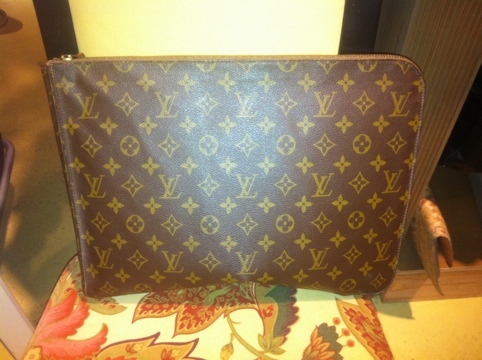 One find I am still considering… a vintage Louis Vuitton portfolio/ clutch. I have been thinking about this amazing piece all day! 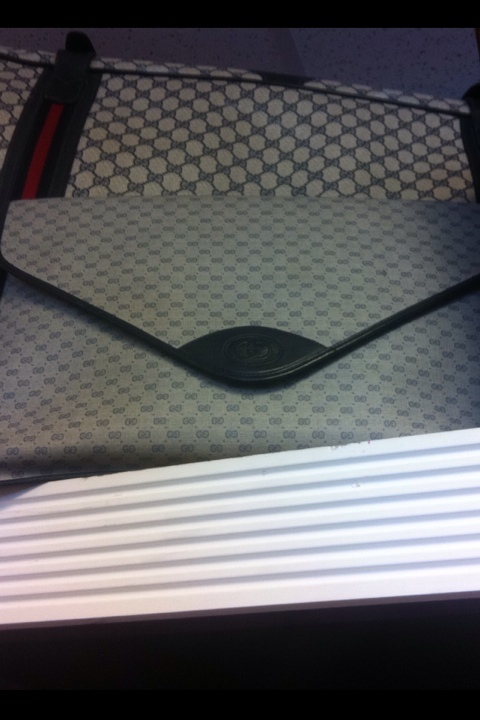 I also found an incredible Gucci envelope clutch that has been tugging at my heart strings. Which one do you think I should bring home?? This entry was posted on Tuesday, March 13th, 2012 at 8:23 pm	and posted in fashion finds, favorite things. You can follow any responses to this entry through the RSS 2.0 feed. the LV is way more timeless. I love the gucci, though. Such a tough decision. I’d say the gucci only because I’m sick of seeing those LV’s everywhere. The Gucci for sure! More unique than the LV. Just bought the LV Speedy in the fall so I am partial. BOTH are timeless…the Gucci, being black, WOULD go with everything but they are both neutrals. I think if you want to “be edgy/different” you will go with the Gucci…If you want a polished look in your collection – then go with LV. Either way is a win/win situation! GUCCI ! I love both but if I had to choose I would go with the GUCCI . the bigger the the 2 GG’s! The Gucci! Way more classic than Louis Vuitton! disagree, Louis is way more classic than Gucci.